As a “green” bed bug product, Cimi-Shield is a Federal Insecticide, Fungicide and Rodenticide Act (FIFRA) 25(b) solution that kills bed bugs and other insects (including cockroaches, ants, millipedes, carpet beetles, silverfish, fleas and ticks) on contact. It leaves a residual on fabrics and fibers that will continue killing for up to one full year. 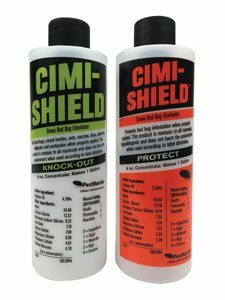 Cimi-Shield has no odor; its staining properties are the same as water. In addition, there is no known resistance to the product, the company says.